HP Deskjet 1512 is an attractive yet low-cost device for home users. This user-friendly printer can scan and copy as well. The printer offers versatile media handling and USB connectivity. It weighs approx. 5.2kg and measures 193 X 463 X 354 mm. It has rear high-speed USB 2.0 port and a 50-sheet vertical input tray. The printer offers small footprint with collapsible input and output paper trays. The flatbed scanner of the printer also produces quality outputs with a maximum resolution of 1200x1200ppi optical. 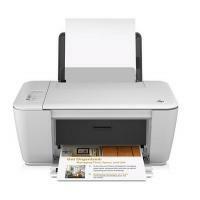 The printer uses HP DeskJet 1512 ink cartridges and offers quality prints at low running cost. The HP Deskjet 1512 is an affordable and basic all-in-one printer. It can print, scan and copy versatile paper media. However, it does not offer any kind of advanced feature that a home office user might require. It does not have wireless connectivity, fax, or direct printing features. It is also slow in speed. How to improve print quality of the DeskJet 1512 printer? You can also pick HP Deskjet 1512 ink multipack HP 301XL multipack to save more on your printing expenses. The Hp Deskjet 1512 all-in-one printer is an inkjet printer. It serves its purpose well as a home or an office printer. The printer produces great quality printouts and uses Hp Deskjet 1512 ink cartridges as consumables. At times printing issues such as low quality photo printouts, banded and missing prints are experienced. This may be caused due to low ink levels. The existing ink cartridges need to be replaced. The company recommends the use of original Hp Deskjet 1512 ink cartridges as it helps maintain the quality of the prints and the helps avoid ink clogs. Turn your printer on by pressing the power button. Lift up the scanner unit and open the cartridge access door. When you do that, the printer will bring the cartridge carrier to its replacement position. During this process do not stop the cartridge carrier or try to move it by hand. This will damage your printer. The cartridge carrier contains a black cartridge and a color cartridge. Lift up the tab of the cartridge you want to replace and gently pull it out of the slot. Open the packet of the new Hp Deskjet 1512 ink cartridge. Holding the pink label, remove the protective tape from the cartridge. Lower the new ink cartridge at an angle into the slot in the cartridge holder. Push the cartridge tab and close it. The cartridge will slide into the slot. Close the cartridge access door and the scanner unit once you have replaced the required ink cartridges. Step Three: Aligning the Cartridges. Hp printers require cartridge alignment. The printer will print a cartridge alignment page as soon as you close the cartridge access door. Place this paper print side down at the top right corner of the scanner glass and press OK. The alignment process will complete and the printer is ready to use. Q. What is the media handling capacity of the input tray of HP Deskjet 1512 printers? A. The input paper tray can handle up to 50 pages of plain paper, 5 envelopes, 20 index cards and up to 20 photo paper sheets. Q. I have spare ink cartridges from my old HP Deskjet 1010 printer. Is it possible to use the spare ink cartridges with a Deskjet 1512 printer? A. Yes, HP Deskjet 1512 ink cartridges are the same as those used in the Deskjet 1010 printer. It is possible for you to use the spare ink cartridges with your Deskjet 1512 printer. Just make sure that the ink cartridges have not dried up as that can damage your printer. Q. What are the different interfaces that I can use to connect devices to this printer? A. HP Deskjet 1512 printers only come with a USB interface. You can only connect computers to this printer. Q. I want to perform a printhead clean for my printer, but the ink levels of my HP Deskjet 1512 ink cartridges are running low. What should I do? A. Cleaning the printhead requires some amount of ink from the ink cartridges. If you are running low on ink, it is not advisable to clean the printhead as insufficient ink can damage the printer. You can either clean the printhead after the ink cartridges run out or if you wish to clean the printhead immediately, it is advisable that you replace the ink cartridges before starting the cleaning procedure. Q. How long would it take for HP Deskjet 1512 ink cartridges to be delivered to me? A. If you place an order for any of our products before 12 noon, the order will be dispatched on the same day and will be delivered to you within 2 days at max. If your order is urgent, you can contact us on our customer support and we will try our best to deliver the product to you as fast as possible. Q. Is HP DeskJet 1512 printer compatible with Windows 8.1 systems? A. Yes, the printer is compatible with Windows 8.1 systems. Q. Does this printer driver work with other HP printers also? A. No, the drivers for HP DeskJet 1512 printer does not work with any other printer. Q. I’m thinking to buy compatible HP DeskJet 1512 ink cartridges for my printer. But I’m not sure about the quality of the prints taken from the compatible ink cartridges. Can you please help me finding a good quality compatible ink cartridge? A. You can look forward for compatible HP DeskJet 1512 ink cartridges at https://printerinkcartridges.ie/hp-inkjet-cartridges/hp-deskjet-printers/hp-deskjet-printers-1000-3999/hp-deskjet-1512 . The ink cartridges offered by Printerinkcartridges.ie are factory tested to the same ISO standard as the original brands. So, you don’t have to worry about the quality of the prints taken from these cartridges. Q. Even after slow-speed and low print quality compared to other printers, why should I buy HP DeskJet 1512 printer for my home use? A. Though the printer is slow in speed and provides low-quality prints, its cost-effective nature, low running cost, versatile media handling capabilities and USB connectivity makes the printer worth buying for home usage. Q. How many coloured ink cartridges do you offer in the multipack of 5 remanufactured HP DeskJet 1512 ink cartridges? A. We offer 2 tri-coloured ink cartridges of 15 ml ink volume each. Q. How is HP DeskJet 1512 printer a good option for home purpose? A. If you do not use printer very often, this printer would be a better option for you. Despite of the fact that the printer is slow in speed, the printer is less in price due to its low running cost. The device is user-friendly as it can scan and copy as well. Also, the printer offers small footprint with collapsible input and output paper trays that serves all the purpose one could expect to get. Q. I can see a clear protective tape on the nozzles of HP DeskJet 1512 ink cartridges that I want to install but don’t know what to do with it. Should I leave it there or remove it before installing them? A. Please remove the tape from the nozzles before installing the ink cartridges. Do it carefully, and also make sure that you don’t remove the copper electrical strip located around it as it has to stay intact. Q. I was installing the HP DeskJet 1512 ink cartridges but did not hear it snap into place. Does it indicate that the cartridges aren’t seated properly? What should I do? A. Yes, the ink cartridges aren’t installed properly. You need to try installing your cartridges again. Please push the cartridges forward gently into their slot until they snap into place properly. Q. Can I know exactly how many pages do the compatible HP DeskJet 1512 ink cartridges (black ink- HP301xl) print? And will I be saving more if I use genuine ink cartridges? A. These compatible ink cartridges will print 480 pages in black for you. You will save more by using compatible ink cartridges as they are priced much lesser than the original ink cartridges. Q. Will my standard printer warranty remain valid if I use compatible HP DeskJet 1512 ink cartridges? I’ve been using genuine ink cartridges and have been considering trying compatible ones but need to be sure about the warranty issues first. A. You can rest assured that your standard printer warranty will remain valid even after you switch over to compatible ink cartridges. Sellers assure you of that and offer to repair or replace your printer in case a problem occurs (which rarely happens). You ought to go ahead with compatible cartridges to avail of the same high-quality prints and also save more than you do now. Q. How many copies can a compatible HP DeskJet 1512 ink cartridge print and will it be suitable with HP Envy 4502 e-All-in-One printer.? A. Yes, the HP DeskJet 1512 ink cartridges is suitable with your HP Envy 4502 e-All-in-One printer. The cartridge can print around 480 pages from black ink and 330 from coloured ink which is 90% more result than the originals ones. These are high capacity HP301XL cartridges thus yield high quantity and quality prints at cheap price. The page yield estimate is based on printing 5% coverage on an A4 page. Q. How many cartridges does the HP DeskJet 1512 require? Q. What is the difference in the performance of compatible HP DeskJet 1512 ink cartridges and original cartridges? I wanted to buy cartridges and am very indecisive about the same? A. The compatible HP DeskJet 1512 ink cartridges yields 90% more result than the original cartridges at an appreciably low price. The original cartridge has 8mL ink while compatible ones have 15mL ink and can yield 480 pages from black ink cartridge and 330 from coloured one. It is always recommended to go for compatible version of cartridges enabling you to get great quality prints at highly affordable price. Q. I changed the HP Deskjet 1512 ink cartridges a week ago but to my surprise the prints have stated becoming noisy and unclear. Is it an indication of faulty cartridges? A. When print quality deteriorates there are many factors for it, most common being blocked printheads. The cartridges are only responsible for colour quality and vividness. At extensive usage the printheads tend to get blocked and have to be cleaned at a regular period. Try performing head cleaning procedure with your printer first to ensure that the print head is not clogged. Reinsert the cartridges and restart the printer. If the problem still persists call our customer care services at +44(0)28 308 33221 for on the spot assistance. Q. I am uncertain about buying the compatible version of HP DeskJet 1512 ink cartridges for my printer since I doubt them not working with my printer. Should I drop the idea of buying the compatibles? A. There is no point worrying about the compatible version of cartridges not working with the printer. We sell good quality cartridges and make sure they work with equal efficiency as the original version does. The ink quality is also at par with the original version. Only the inferior quality cartridges don’t work with the printer. But we assure to deliver best quality cartridges. Q. Does your compatible cartridges required for HP DeskJet 1512 need any special care so as to work efficiently? A. The compatible ink cartridges we sell are designed to deliver best results. Do Make sure to store them at room temperature and avoid extreme climate changes thereby keeping the ink intact. For optimum results make sure that ink levels are sufficient and the nozzle heads are clean before printing. If all these conditions are satisfied and if the cartridges are not tempered then these HP ink cartridges deliver great and vivid quality prints. Q. The HP DeskJet 1512 printer is a coloured printer but it uses 2 cartridges only. Does that mean it yields 2 colours only i.e black and some other? A. HP DeskJet 1512 uses 2 cartridges one being black and other cartridge is a tri colour cartridge i.e it yields 3 colours. There is no point to worry on as HP gives great colour outputs without the prints being bland or lifeless.